Khun Mae has always emphasized over and over again that it is very important to transfer and dedicate merits even towards someone that we dislike. The dedication of merit can soothe your heart and give rise to wholesome feelings. Once you repeatedly do it till it becomes a habit, you will know how the experience can transform you. Also after meditation, dedicate to whoever’s face that arise in your mind. Or in the calm state, see who you want to dedicate the merits to and do it. Dedication of merits can be belated. For example, you have performed merits such as dana, observing 8 precepts in the past and suddenly thought about your late parents and wish to dedicate to them, you can do so and they could still receive. There is no such thing as no time. 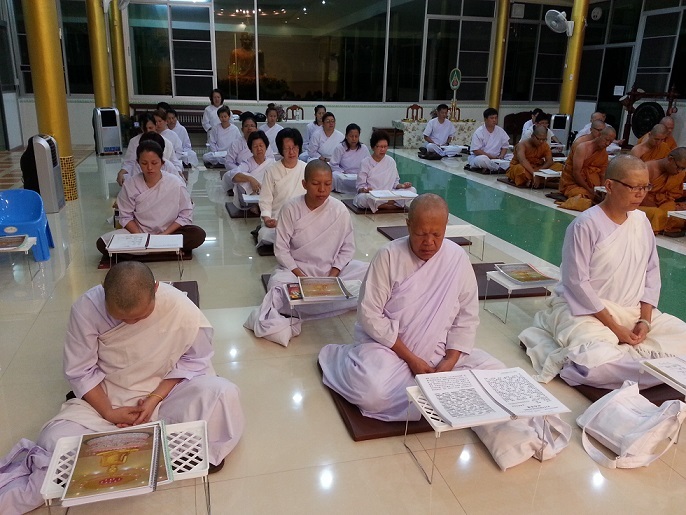 It is not necessary to dedicate merits only when you are doing formal meditation practice. It can be informal like sitting on a chair, walking, etc. Just maintain mindfulness of the breath and body and then dedicate the merits. Khun Mere herself send merits while walking and doing about her tasks).